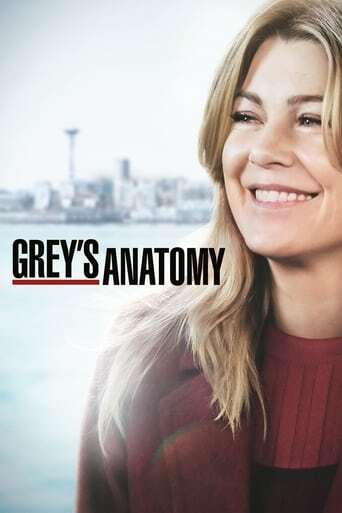 With Cristina gone, a new doctor, Maggie Pierce, making the rounds and Derek wanting to move to Washington DC, Meredith struggles to regain a sense of normalcy both at home and in the hospital. 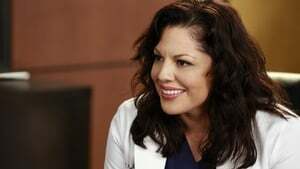 Meanwhile, Callie and Arizona come to a decision about surrogacy, Amelia overhears a big secret, Bailey realizes she will have to fight Alex for Cristina’s board seat and a freak accident causes two teenagers to be caught in a very compromising position. Maggie tries to make a good impression but finds herself in unfortunate situations; Richard keeps hiding his secret. 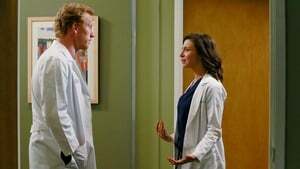 Owen tries to get Callie to help Veterans Hospital patients with the robotic limb lab. Alex and Meredith's friendship makes Jo jealous. Alex and Bailey prepare to go in front of the board. Secrets from Ellis Grey’s past come to light when Meredith watches old videos and reads through her mother’s journals. 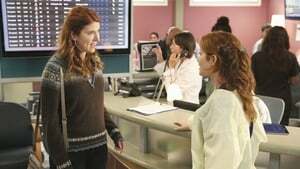 Meanwhile, Maggie rocks the hospital with an unexpected announcement; Alex gets new responsibilities and Callie focuses her attention on the Veterans’ project. Callie and Arizona examine their marital problems and what's contributed to them. Meanwhile, Callie devotes herself to the veterans' project, Arizona strives to impress Dr. Herman, and Richard seeks guidance from Bailey. Information about Amelia's past emerges and causes problems for her at the hospital. 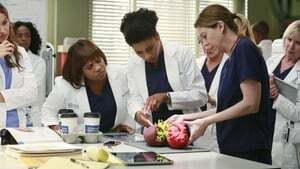 April stays optimistic as Arizona begins testing on her baby; Dr. Herman plans out a crash course in fetal surgery; and Owen and Callie encourage each other to get back into the dating scene. Meanwhile, Meredith, Maggie and Bailey use the 3D printer to gain a better understanding of their patient's tumor. The hospital doctors become fascinated with Dr. Herman’s case when Amelia gives a lecture detailing the intricacies of the surgery. Arizona and Herman continue to bond over the amount of cases they are trying to complete before the big surgery. Meanwhile, Bailey brings them a case of a pregnant woman who is close to her heart. 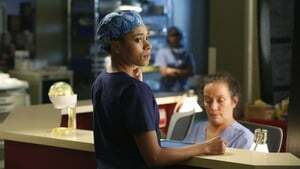 In this Amelia-centric episode, Amelia engages in the surgery of a lifetime as a crowd of doctors look on from the gallery. With Stephanie by her side, she begins operating on Dr. Herman, but quickly realizes it's far more difficult than she anticipated. Meanwhile, Bailey becomes skeptical when Arizona takes on one of Herman’s cases. A patient's condition sparks a conversation between Richard and Maggie about Alzheimer's disease; April and Jackson struggle to return to their normal lives and Arizona is faced with the reality that Callie is moving on. Meanwhile, Meredith reveals her biggest fears about Derek. 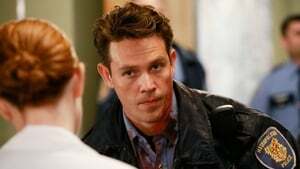 A school field trip to the hospital takes a dramatic turn when the kids witness two injured cops enter the emergency room. 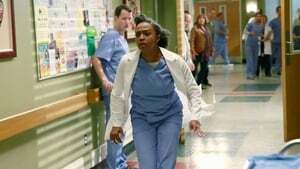 Meanwhile, Stephanie sets her eyes on one of the chaperons, Callie operates on the leg of the police captain and Amelia must face her feelings for Owen. 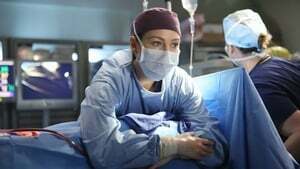 Upon realizing that Owen and Amelia have been seeing each other behind her back, Meredith comes down hard on her sister-in-law causing Amelia to rethink things. 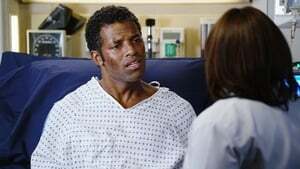 Meanwhile, Catherine springs into action when a man is brought into the hospital after his wife seeks revenge on his cheating ways. 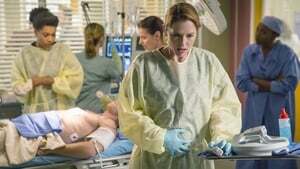 A small plane crash in Seattle causes multiple casualties and brings back horrible memories for the doctors, especially Meredith and Arizona. 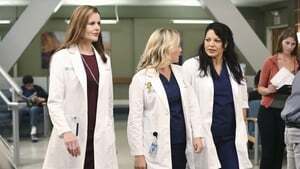 Meanwhile, friction between Owen and Amelia makes for an uncomfortable working situation for Stephanie. We see how Meredith and the doctors cope after they learn the news of Derek's death. Meanwhile, April makes a shocking decision that Jackson cannot understand, and Bailey and Ben argue over their future. 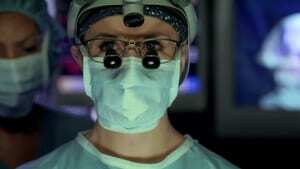 The doctors of Grey Sloan Memorial Hospital are forced to put their emotions aside when a catastrophic event occurs. As the doctors continue to tackle an unfathomable crisis, they are reminded of what is important and are brought closer together.